This has been the statement of the broadest alliance of different labor groups under the banner of Kilusang Mayo Uno – Nagkaisa! Labor Coalition (KMU-Nagkaisa) in a press conference held in Manila today. 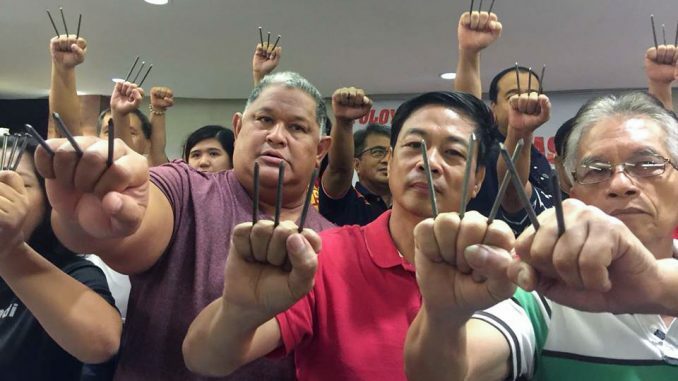 Leaders of various labor groups displayed nails to depict the “pangakong napako” (failed promise) of President Duterte to end all forms of contractualization in the country. 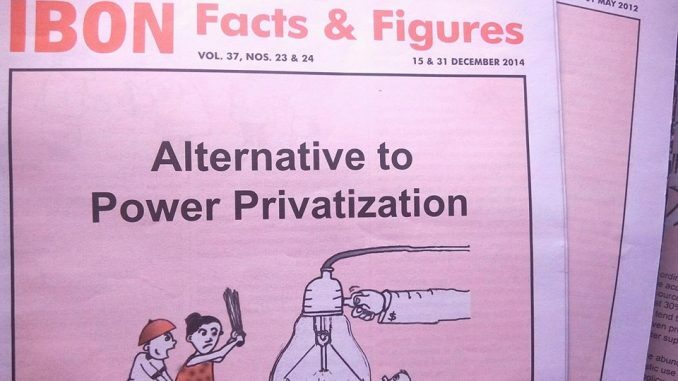 The group also stressed that the growing frustration, disappointment and dissatisfaction of workers over Duterte’s failure to fulfil a promise have only brought together workers in an alliance. According to the groups, the forging of this kind of unity will be the first time since 1989. 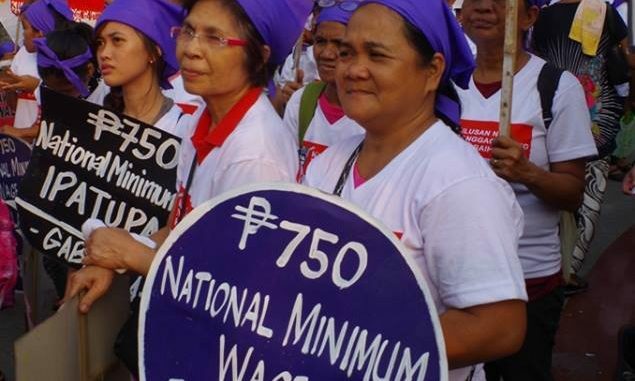 In the press conference, the labor alliance announced that more than 60,000 workers are expected to march to Mendiola in Metro Manila on May 1 while more than 150,000 will march across the country. They also called the Labor Day rally as a nationwide indignation rally as thousands will hold simultaneous protests in Panay, Iloilo, Bacolod, General Santos, Iligan, Cebu among other provinces nationwide. KMU-Nagkaisa also insisted that they will boycott the government’s Labor Day celebration in Cebu but assured that a bigger protest will greet Duterte in the said province. “This year’s commemoration of Labor Day will be different. it will be a national day of solidarity and action of leaders, members, allies and supporters of KMU-Nagkaisa and all citizens who have been frustrated over the injustices committed against workers and the Filipino people and government’s continued inaction and negligence,” said Elmer Labog, KMU chairperson. “Let’s march arm-in-arm and be part of this growing solidarity. Let’s unite on Labor Day and work together in the days to come,” said Michael Mendoza, Nagkaisa chairperson. KMU-Nagkaisa also belied the pronouncement of Presidential spokesperson Harry Roque that the failure of Duterte to issue and executive order on contractualization has no backlash from the labor sector. KMU-Nagkaisa even said that the series of protests will continue even after Labor Day. They also invite other labor unions outside of their coalition to join their mounting protests against contractualization on May 1 and even beyond. The groups said that they are planning to stage a series of protests in various agencies after May 1 until the government will realizes its promises to the workers to end contractualization. The post Broadest workers alliance to march as one to Mendiola on Labor Day appeared first on Manila Today.